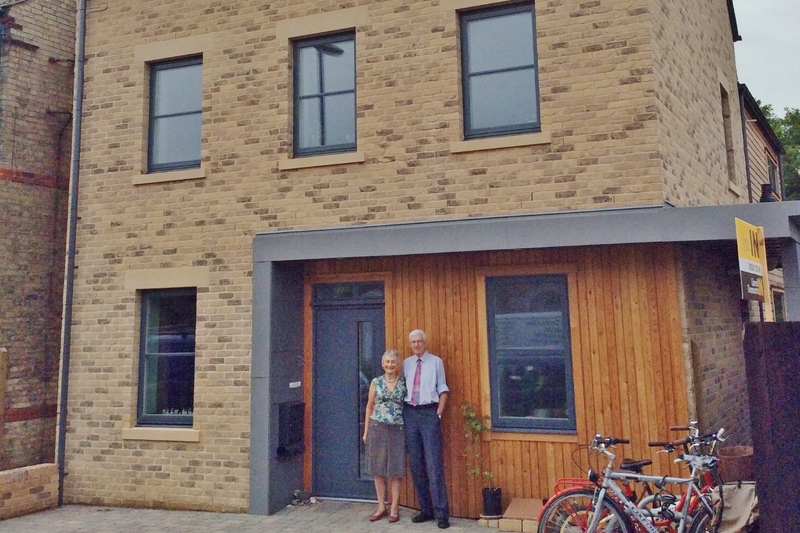 William and Deborah’s stunning four bedroom self-build has been built for sociability and low running costs. Constructed from their own design in the garden of their existing home by kit home specialists Fjordhus, the house is packed full of interesting features, designed to maximise comfort, beauty and functionality whilst minimising energy use. They have researched many aspects of eco-homes over the last ten years; and also stayed in many friend’s houses in continental Europe – where modern building techniques and practices – to them – seem to have been ahead of the UK for some time. Eventually they designed a house that they believed would be appropriate for their needs, incorporating as much ‘new technology’ as they could. The design has close to Passivhaus standards of insulation and air tightness. There is a 7-zone under-floor heating system on the ground floor, a gas boiler and solar water heating and PV. Heating costs are estimated to be £1 per day and the PV array should generate about one quarter more electricity than Deborah and William use.